The ins and outs of dental insurance can be very confusing and tricky to understand, especially since every plan is different. 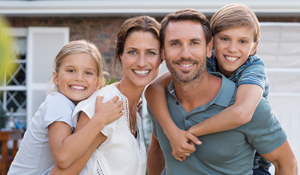 Our knowledgeable staff at Boyles General Dentistry and Implant Center can help you decipher your own unique insurance plan so you can get the treatment you need from your dentist in Midland, while maximizing your benefits. Here’s what you should know. It will have a yearly maximum that typically ranges from $1000 to $2000. This is the maximum amount your plan will pay for benefits in a given year. Most plans run on a calendar year from January to December. It may have a deductible that is typically in the range of $50 to $150 that has to be met before major procedures can be done. Most plans will cover most if not all of preventative care. This means that there is very little cost to you, if any, when you come in for your six month cleaning and checkups. For restorative treatment, most plans cover a percentage, which leaves you with an out-of-pocket portion to pay. 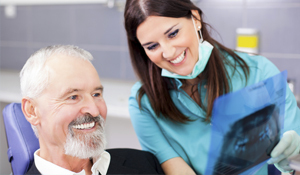 If you have dental treatment that is recommended, your team at Boyles General Dentistry and Implant Center is happy to help you understand the unique nuances of your own plan before you have any procedure done so you are clear about the portion you will be responsible for. Your dental plan most likely has a network of dentists that they would like you to choose from. It’s important to note that this does not mean that you can’t see an out of network dentist, it simply means that there may be different coverage with an out of network provider. With many plans, the difference between in network and out of network coverage is minimal. Our dentists at Boyles General Dentistry and Implant Center are not in network with any dental insurance companies. What does this mean for you? It means that our dentists are able to provide a high level of care for each patient without any dictation from insurance companies. Being part of a dental network means agreeing to charge the fees that the insurance company allows, but often this won’t cover the cost of the high quality materials that our dentists choose to utilize. Instead of compromising any aspect of care for our patients, we choose to remain out of network providers. However, we are happy to file insurance claims on behalf of our patients and help them utilize their benefits to their maximum. At Boyles General Dentistry and Implant Center, our team is committed to providing you the highest quality dentistry possible. 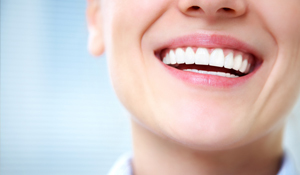 Our patients love the personalized attention they receive from our highly skilled and experienced dentists. If you have questions about dental insurance, or network coverage, please contact our office to discuss your options. We know you’ll appreciate the care you receive from our team and we want to help you get the level of dentistry you deserve.